What is the only grocery store in Bend with full-time wine gurus? Suzi, our resident wine expert, is awesome! She loves wine the way Mac loves Cheese. The way a parrot loves the radio. The way Starsky loves Hutch. So it was no surprise when Suzi was invited to the prestigious Oregon Pinot Camp last month, joining wine professionals from over 40 states and 9 countries. One of only five people chosen to attend from the state of Oregon, Suzi was first nominated by a winery and then hand-selected by the Pinot Camp board of directors to attend this celebrated event. What is Oregon Pinot Camp, anyways? Fifty of Oregon’s top wineries join together to immerse attendees in the Oregon wine experience. What makes Oregon wines so special? That’s the mission of each camper to determine. The first day of camp involved meeting, greeting and drinking copious amounts of wine with the other participants. Put a small group of people obsessed with wine in a room together and magic (plus a bit of crazy) is bound to happen. Day Two was spent in the vineyards, chatting with the vineyard managers. Campers were shown the differences between soils and the many factors at play in determining the ideal environment for grape varieties. Trellis design was also discussed as well as other technical factors involved in producing a great wine. Campers split up on Day Three, attending workshops at various wineries in the Willamette Valley. Six winemakers presented blind tastings to Suzi’s group… the orange group (which, as everyone knows, is always the BEST group)… with whites in the morning and reds in the afternoon. 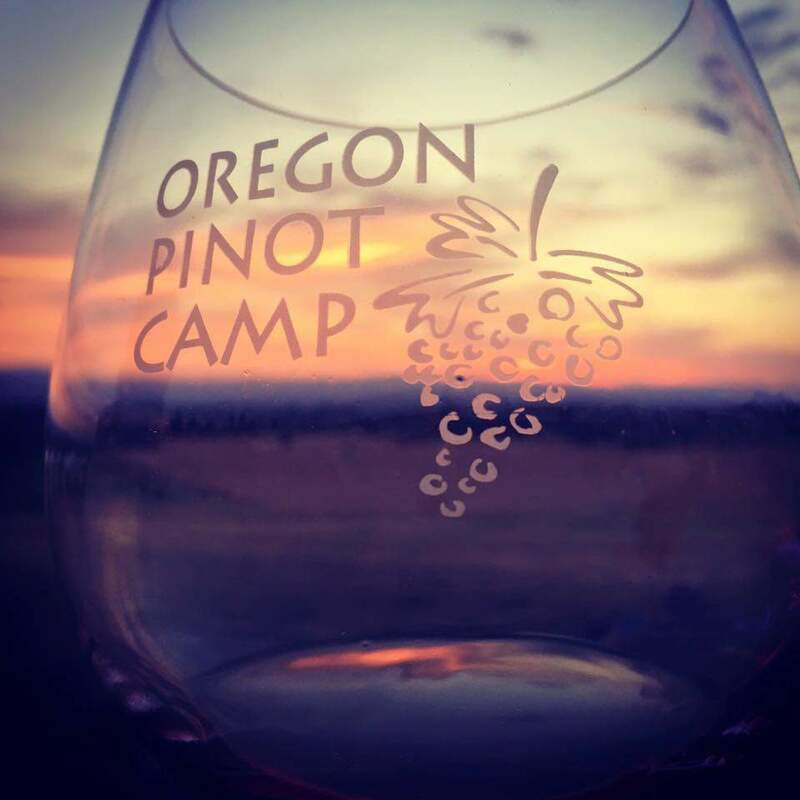 What was the best thing about Oregon Pinot Camp? “It was like being in a small town,” says Suzi. “Seeing the vineyards work together like a family really highlighted their deep sense of community and valuing others.” The vineyards play together, eat together, work together, and drink together. When a piece of machinery breaks, it’s no big deal to head over to a nearby vineyard and ask for help. “Everyone helps everyone,” adds Suzi. The vineyards in Oregon care more about the collective whole than individual victories. There’s a deep understanding that working together grows the world’s appreciation for Oregon wines. Community matters to Oregon’s vineyards. We love that. The next time you visit Newport Market, stop by and say hi to Suzi. She’d love to answer any questions you have about Pinot Camp, take your special orders and give recommendations for interesting wines. We’ve filled a large portion of our store with wines for every taste imaginable. From entry-level porch pounders to special occasion wines to hard-to-find varieties, we’ve got our customers covered. And don’t forget… we have wine tastings every Friday and Saturday from 3:30-5:30. Cheers to happiness, wine and everything fine!